Do you need transmission repair? Are you weighing your options with respect to rebuilt transmissions and trying to determine who, in the Madison area, to deal with for your transmission maintenance or repair needs? Trans Works Transmissions in Portage, WI serves the greater Madison, WI area and we have an excellent reputation for maintenance, repairs, and for those who prefer to install their own rebuilt transmission. When your vehicle's transmission isn't working right, it affects the safety and efficiency of the entire vehicle, and getting the problem fixed quickly and correctly is crucial. 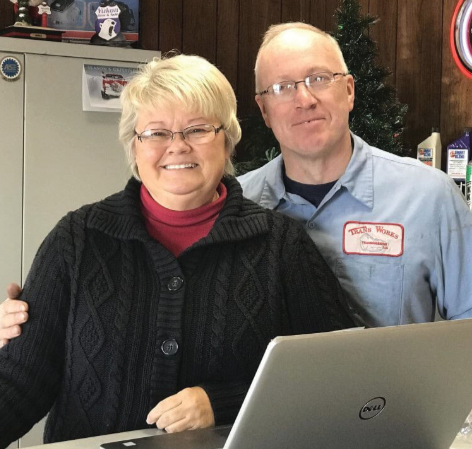 Whether you've lost a few gears or are simply experiencing a slight hesitation during takeoff, bring your car, truck, SUV or motorhome to Trans Works Transmissions, LLC in Portage, Wisconsin for our friendly, knowledgeable technicians to check out. We've been providing transmission repairs for customers throughout Wisconsin for more than 30 years, and we're here to put our experience to work for you. There are more than 100 types of transmission issues that can arise. Aside from the warning lights found on most vehicles or red puddles on your driveway, certain telltale signals could be early warnings of a problem in the making. With manual transmissions, you may notice shifting from one gear to the next is more difficult than it once was. The gear shifter may even pop out of place on its own from time to time. These are obvious signs you need transmission repairs. For manual, automatic, or CVT transmissions, you may begin to feel an odd vibration while driving or hear grinding or thumping sounds. Either of these could be caused by anything from worn or improperly balanced tires to loose suspension components. Let us get to the root of your troubles before going to any unnecessary transmission replacement expenses. TRANSMISSION PROBLEMS? WHAT ARE MY OPTIONS? Plenty of Madison area vehicle owners prefer new parts for their repairs, especially when it comes to the drive train, and there's nothing wrong with that. Used transmissions without warranties or guarantees could easily present the same issues as the one you're replacing. Many of our customers have learned a nice compromise is available in the form of remanufactured transmissions. At Trans Works Transmissions, we can help with transmission repairs as well as rebuilt transmissions and ongoing transmission maintenance. These transmissions have been taken apart and thoroughly inspected. Any worn or damaged parts and seals are replaced. The result of a rebuilt transmission is a reliable alternative at a fraction of the cost of a new transmission. We have more than 100 remanufactured transmissions in stock but, if we don't have the one you need, we'll gladly order it from one of our suppliers. Inside the casing you see on the surface, transmissions are made up of different gears. In many cases, when a transmission "goes out," it may not need to be replaced altogether. Dismantling it and replacing only the damaged components could easily resolve the issue. Our ASE certified team is capable of performing custom transmission rebuilds and installs right here in the shop. If you want to handle the removal and installation yourself, bring your damaged transmission to us, and we can deliver a new or re-manufactured one right to your door. Having transmission parts wear out is inevitable, but proper maintenance can prolong the life of your transmission. We're always ready and willing to offer advice on making your transmission last as long as possible. Contact us online, by phone, or visit us here at the shop with any questions or concerns you may have. Our staff brings years of experience to the table, and we continually update our training to remain on top of all the latest developments in transmission repair. Our shop is also equipped with state-of-the-art tools and diagnostic equipment to ensure we're able to provide the highest level of service to our customers. Whether your vehicle is foreign or domestic, front or rear-wheel drive, or a 4 x 4, bring it to Trans Works Transmissions, LLC for all your transmission repair needs. Make an appointment for transmission maintenance, transmission repair, or if you prefer to install rebuilt transmissions yourself, we can ship it directly to you.